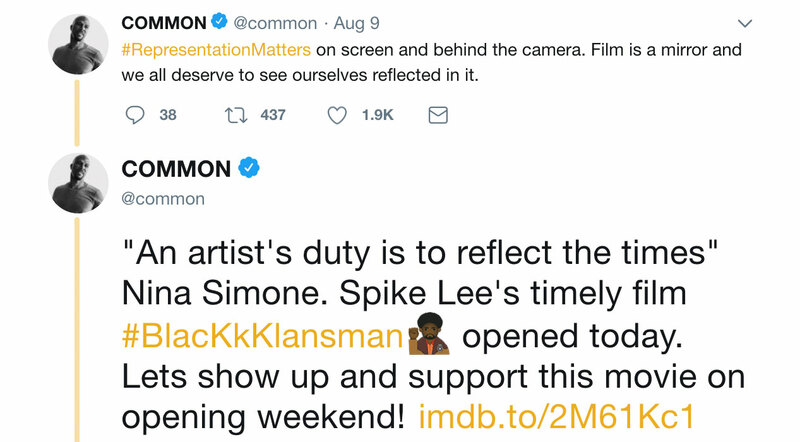 This weekend, Spike Lee's latest joint BlacKkKlansman hit theaters. 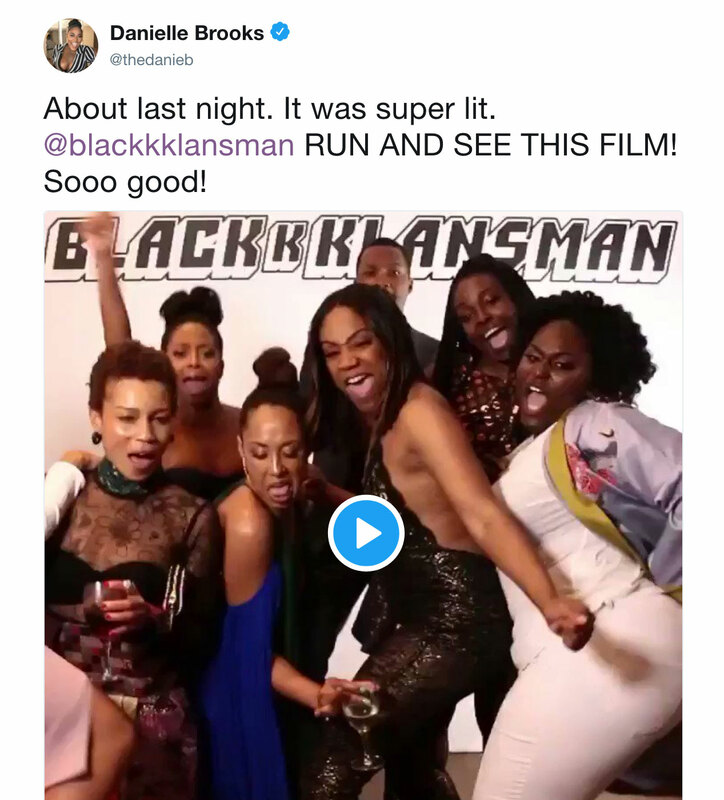 Since it premiered at the Cannes Film Festival to a standing ovation and took home the coveted Grand Prix, the film has been receiving rave reviews from critics and fans alike. 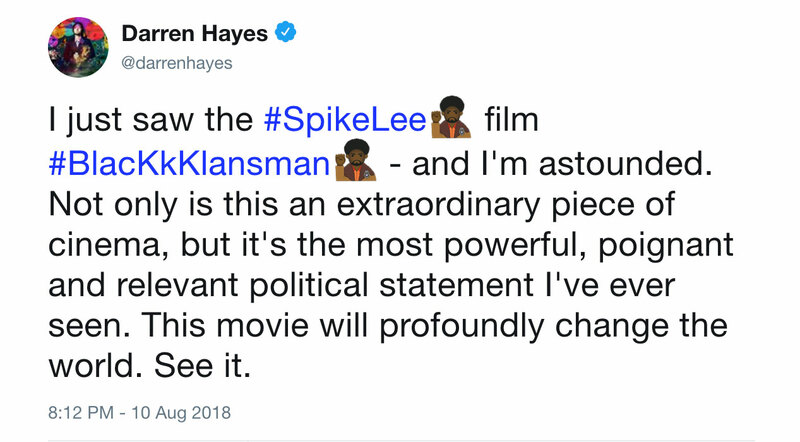 Vulture encompasses reactions aptly, calling the film “One of [Spike Lee's] most flat-out entertaining films in years, and also one of his most uncompromising." 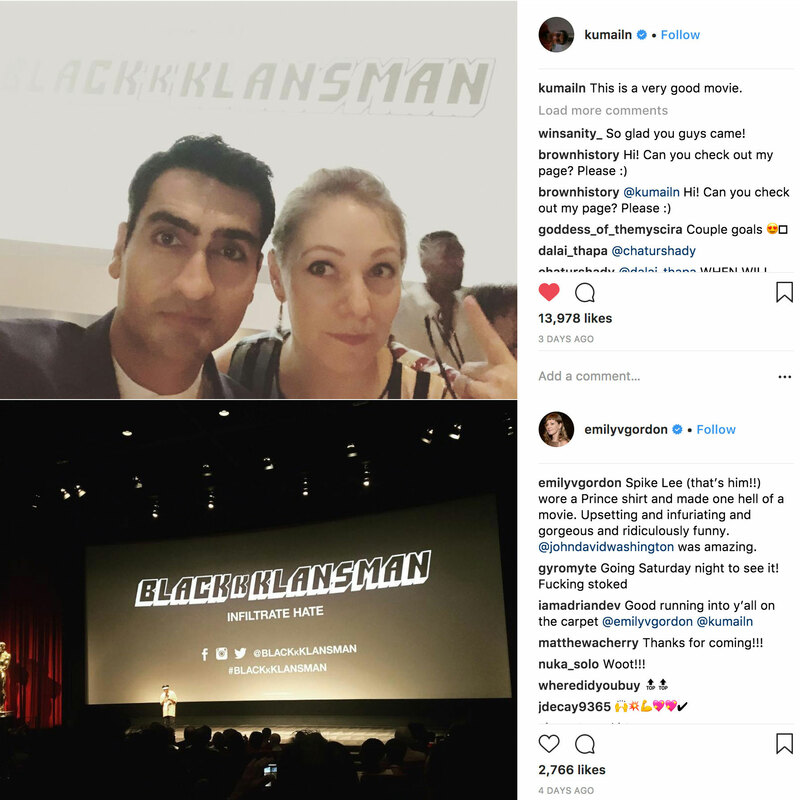 In the midst of the state of the world today, it comes to no surprise that BlacKkKlansman is receiving such a strong reception from audiences who have seen it. Here's what everyone from actors to musicians to filmmakers and more are saying! 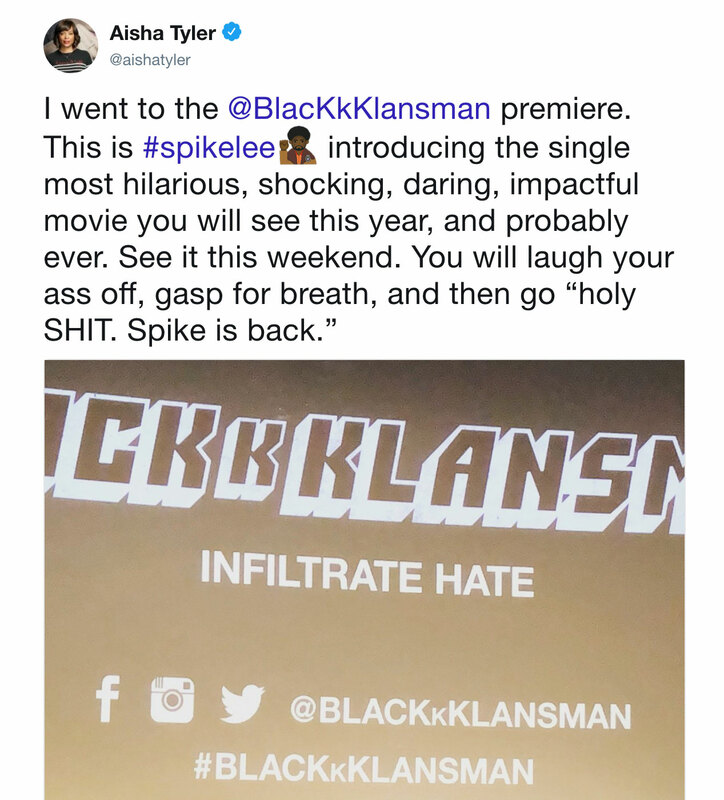 "Spike is back." Well put, Aisha Tyler. 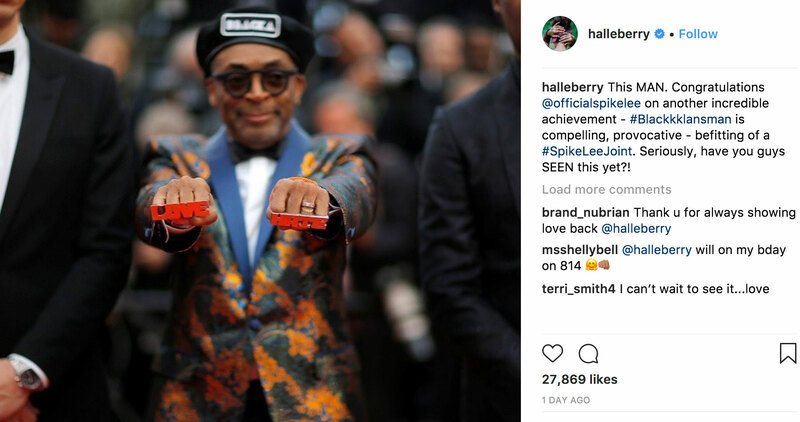 Academy Award®-winning actress Halle Berry took to Instgram to hail the film as "befitting of a Spike Lee joint." Singer-songwriter Darren Hayes, formerly of Savage Garden, was "astounded." Orange is the New Black star Danielle Brooks raved about the film after attending the Brooklyn, NY premiere. I mean... no need to reinvent the wheel. MC Hammer can't stop spreading the love. Singer-songwriter Neko Case hailed its importance. 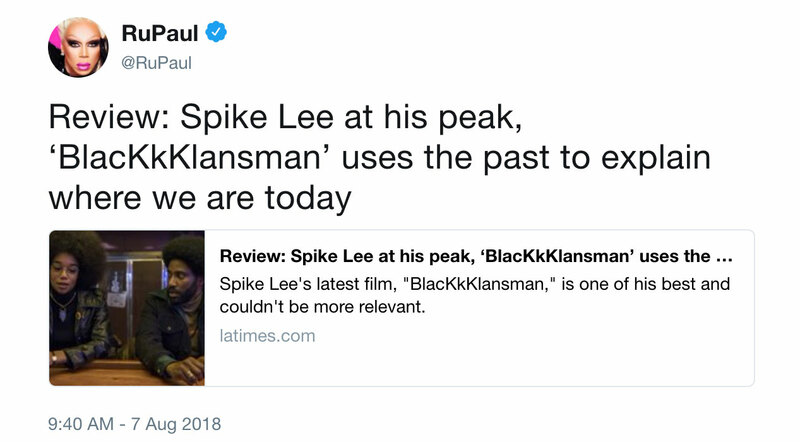 It's peak Spike Lee for RuPaul. Basically required team bonding for the New Orleans Saints. Lots of !!! from comedian Jon Lovitz. 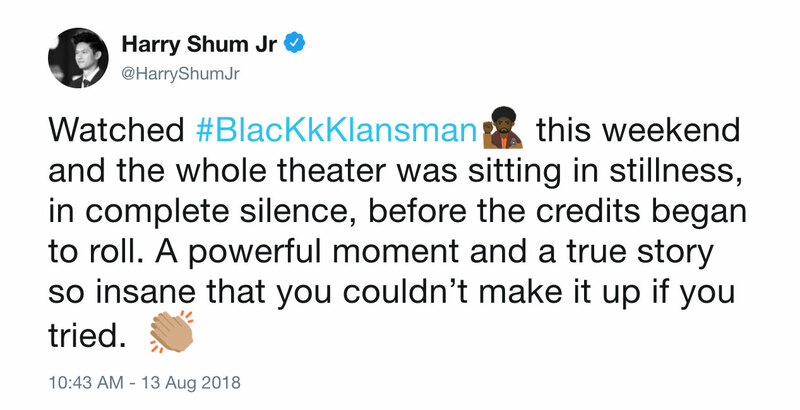 The film gripped Glee's Harry Shum, Jr. and the entire theater he sat in. The Mindy Project's Ike Barinholtz felt all the things. Hip hop artist/actor Common noted the film's timeliness and importance in representation in film. The legendary Barbara Streisand highlighted something great. The Big Sick's dynamic duo Kumail Nanjiani and Emily Gordon think it's very good (and more).